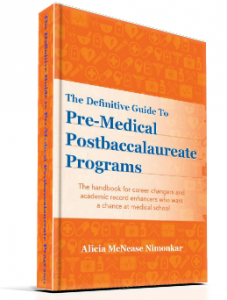 The Definitive Guide to Pre-Medical Postbaccalaureate Programs teaches pre-meds how to select and apply to postbaccalaureate and special master’s degree programs, with the ultimate goal of matriculating into med school. Included in the book are pros and cons for each option, success stories of former postbac students, interviews with postbac program directors, an index of postbac and specialized master’s programs, and more! Write Your Way to Medical School: How to Create a Winning Application will initiate you into the art of crafting the perfect med school application. You will get expert advice on the application and admissions process, including how to write a winning personal statement, ace their interview, and more! 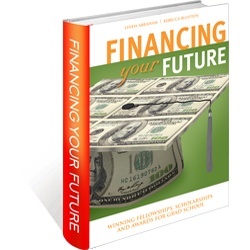 Financing Your Future: Winning Fellowships, Scholarships and Awards for Grad School will help graduate school applicants complete their fellowship, scholarship and award applications and obtain those crucial funds, in addition to providing specific programs tips and interview advice. The Nine Mistakes You Don't Want to Make on a Med School Waitlist shows you how to avoid the mistakes that doom so many on a med school waitlist and make the right moves that increase your chances of acceptance. Write Your Way to a Residency Match: Advice for Your Personal Statement, CV, and Letters of Recommendation teaches you how to avoid the common mistakes and make the right moves that can propel to a top choice match. Write Your Way to a Fellowship Match: Advice for Your Personal Statement, CV, and Letters of Recommendation shows you how to avoid the common mistakes and make the right moves that can propel you to a prize fellowship match.